There will be a humanitarian award named for critic Larry Murray who has been the driving force behind The Berkies. Giuliano photo. The winners of the First Annual Berkshire Theatre Awards – already being nicknamed “The Berkies” – will gather at 5 pm on Sunday, November 13, 2016 at Mr. Finn’s Cabaret in Pittsfield. Along with members of the Berkshire Theatre Critics Association, they will raise to glass of bubbly in celebration of the exciting 2016 theatre season nearing its conclusion, and the genesis of these awards in recognition of its importance to the community and economy of the region. Headlining the evening’s entertainment are Elizabeth Aspenlieder and Debra Jo Rupp, award-winning actors who also make their homes here in the Berkshires. Hosts for the ceremony are J. Peter Bergman from The Berkshire Edge and Macey Levin from Berkshire on Stage, members of the Founders’ Committee.. The event has drawn the Berkshires’ theatrical community together in a show of support that is rare for the off-season. Making an appearance are the four major Berkshire theatre companies, and the half-dozen smaller troupes who contribute so much to our year-round cultural life. Among the winners who will claim their awards are Julianne Boyd, Nehassaiu deGannes, Chris Demos-Brown, Jess Goldstein, Dana Harrison, Debra Jo Rupp, Tamara Tunie, and Andre Ware. The winners were announced in October, but one, the “Larry Murray Award,” named for the founder of the awards program and given to a person or theatre project that advances social, political, or community issues, will not be announced until the evening of the event itself. In the running are Julianne Boyd, Artistic Director of Barrington Stage, and Kristen van Ginhoven, Co-founder and Artistic Director of WAM Theatre; and the three Vermont theatre companies that teamed up to produce all three plays in Alan Ayckbourn’s The Norman Conquests this past summer – the Dorset Theatre Festival, Northern Stage Company, and the Weston Playhouse Theatre Company. Larry Murray has long promoted the idea of a Berkshire Theatre Awards program. Now that it is a reality, he will personally present a special award in his name. 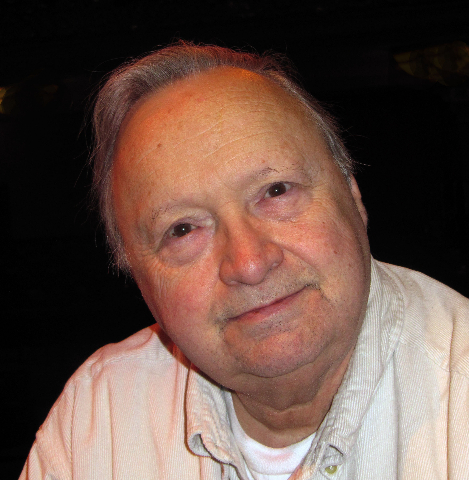 Murray, now 67, has worked in the arts and cultural fields for much of his life, and been the editor and publisher of BerkshireOnStage.com since 2010. Prior to that he did promotion and marketing for Warner Brothers, Universal International Films, The Pocket Mime Theatre, Boston Ballet, and the Boston Symphony Orchestra. He was a founder of Arts Boston and headed that city’s Midtown Cultural District Task Force, a community based planning group that shaped zoning to encourage developers to carve out new theater spaces for smaller resident companies as part of their mixed use projects. That zoning passed in 1990 and changed Boston from one that was known as a pre-Broadway tryout city to one that nurtured dozens of its own local companies, employing resident actors, directors and writers. Murray was also recruited in the mid-1980’s by legendary critic and PBS television host Elliot Norton to help create the Elliot Norton Awards, which continue to this day. Helping Murray create the Berkshire Theatre Awards and hosting the event are members of the Founders’ Committee: J. Peter Bergman, Robert Bruyr, Gail M. Burns, Macey Levin, Gloria Miller, and Ed Sedarbaum. Other voting members of the Berkshire Theatre Critics Association include: Mark G. Auerbach, Jeffrey Borak, Dan Dwyer, Helen Epstein, Bob Goepfert, Charles Giuliano, Rex Hearn, Chris Rohmann, Fred Sokol, Stephen Sorokoff, Robert Sugarman, and Sally Sugarman.